Over the past month or two I have had some very fine weekends. Pennsylvania is a very good place to be in the Spring. We were in Philadelphia several weeks ago. In the first photo, you can see the office building where someone very close to me works. But on that day in "Philly", we went to the Franklin Institute, and we saw their exhibition of actual artifacts from the Titanic. Very interesting. On another weekend, we revisited The Lands at Hillside Farms in Shavertown. I really enjoyed the expansion in the number of restored green houses. There was a weird kind of randomness to what was growing in there. These are mostly succulants. I took photos of some of the animals as we ate our ice cream. This was a very hard post to write, to re-write, to edit (to finish, once it was started). I do have a hard time deciding how much to reveal about my loved ones. And I am not yet a total blogger because lots of things are happening all around me and I am not always taking photos! I would have loved to see the Titanic artifacts - I've always been enthralled with all things Titanic - but I think that a lot of people are! It sounds as though your weekends have been wonderful. As to what you share or don't share - this is your blog and your voice - you should do only what you are comfortable with, and trust that your readers will continue to enjoy what you write! Thanks, Tracy, for your (encouraging) comment! I am certain that you would have liked the exhibit. One neat thing I should have mentioned was that at the entrance each person received a boarding pass with a description of an actual Titanic passenger that they could pretend to be. The final walls in the exhibit were lists of names of those who survived or died so you could find out if you made it. Thanks for sharing these great pics. 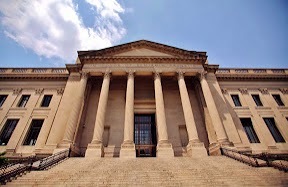 In particular, I like the pic of Franklin Institute. It looks a bit imposing and very intriguing. It reminds me a little of Petra. Lots to see and do for you on the weekends. Good for you! Hi, Dixie. I had to look up Petra. There are so many amazing images for it online. Thank you for sharing that! 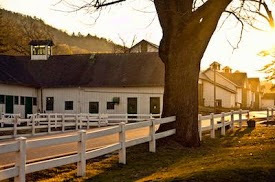 Great pictures - boy have I gotten behind on blog reading!